My parents came for a visit this week. They arrived on Monday evening and were able to stay until about noon on Thursday. Time must know when we want it to slow down, because it always seems to go faster. Tuesday morning was spent down at the river watching the rafts at the put-in. Lots of busses arrived at about the same time, but they had to wait until the power house released the water, so there was quite the traffic jam. We watched rush-hour for quite some time, and then it was time for Rob to take us on our own raft trip. My dad took pictures from the bank while the rest of us were on the water. We ended the day with dinner at a very tasty local restaurant and a movie back at my parents’ cabin. 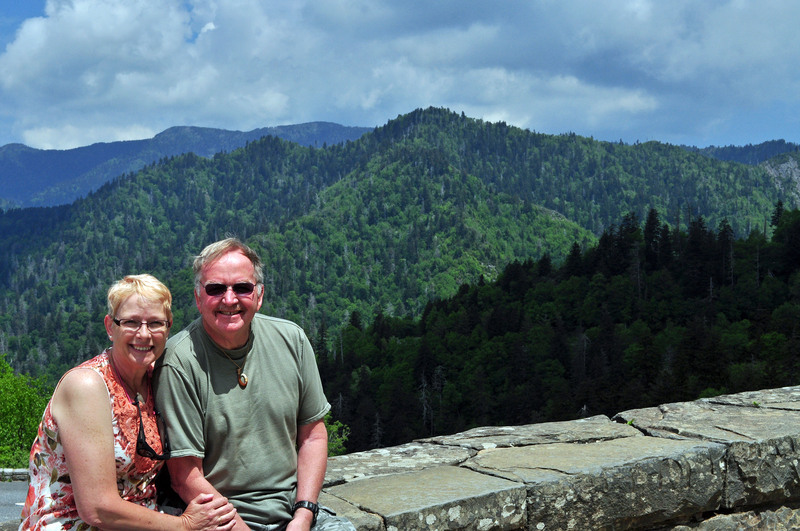 Tuesday found us in Great Smoky Mountain National Park. After over three months here and almost 50 miles of hiking in the park, we finally saw a black bear. 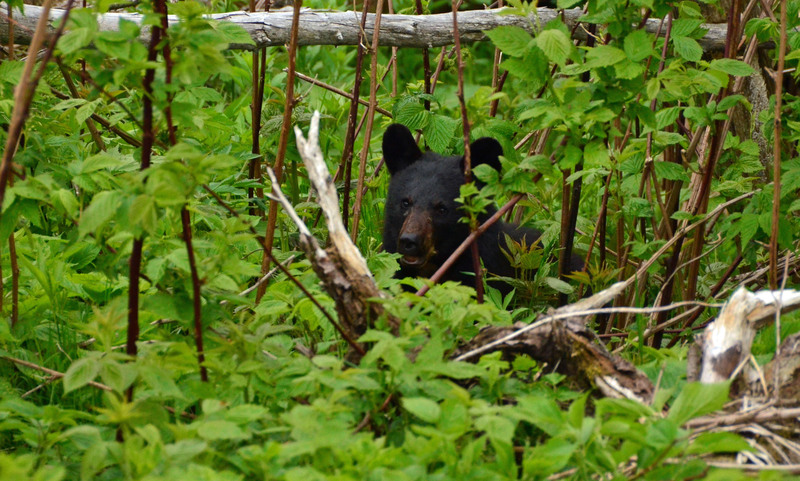 My parents must have brought some good luck because the bear was right off of the trail to Clingmans Dome, one of the most popular spots in the park. He was content to eat in the bushes for a while and then he wandered off. We celebrated William’s birthday after a full day of driving and sight-seeing. Grampy was even here to give him his 10 birthday spankings. which made William laugh. He is feeling pretty cool now that he is in his double digits, and he loved that Grammy and Grampy were here for his birthday. Thursday was spent sharing pictures and enjoying a little more time together before my parents had to be on their way. It doesn’t seem to matter how old I get, I always hate it when they have to leave. I love the time we are able to spend together, and I find myself wishing we could have at least a few more days together. It just makes me appreciate our time together even more. They were off to North Carolina where they will spend a week at a beach house before flying back to Idaho. I was surprised to learn that with all the traveling my parents have done, neither of them had ever been to Tennessee, so we were happy to give them a reason to come. Thank you so much for the wonderful visit, Mom and Daddy!! We love you!! 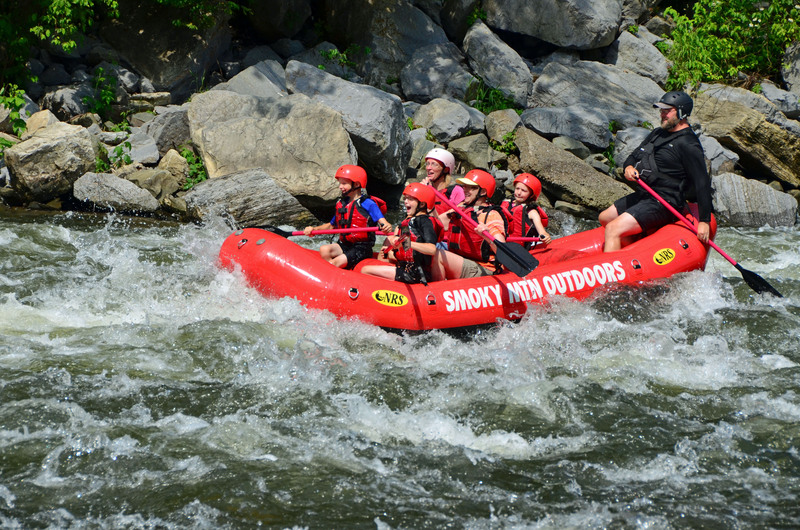 This entry was posted in Crazy Kids, Daily Life, Family Adventures, Random Thoughts, RV Life, Tennessee, Travel and tagged black bear, great smoky mountain national park, Great Smoky Mountains National Park, Pigeon River, RV life, Tennessee, travel, white-water rafting. Bookmark the permalink.